^^^^ I prefer the orange hands on yours, gives it more of a sporty feel imo. Wow. How did you get that done? I would kill for that bronze bezel on my Seatime... That is fantastic. The Seatime was one of the first Stowas I loved. That bronze Prodiver is a beautiful watch, the strap goes perfectly too. 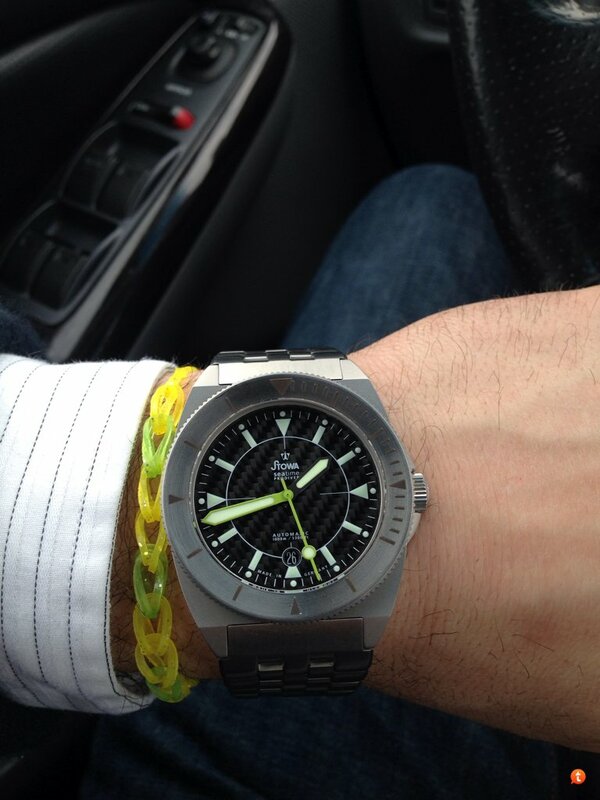 Shown with a rubber band bracelet my daughter made me. WatchDialOrange, marlowe55, Bradjhomes and 2 others like this. That Limette hand set looks outstanding against the black face. Very cool bracelet as well!! I just cut down & sized a Stowa Rubber Strap for my Stowa Prodiver Limette. Waiting for a new Black /Silver Prodiver Bezel to come in next. marlowe55, spronston, platinumEX and 1 others like this.